You might think there’s nothing wrong with your sales process. It seems to work smoothly enough, doesn’t take up too much of your employees’ time and, in any case, you’ve never heard any complaints. This might be the instinctive way to approach your sales process, but is it the right way – to focus on your needs and not those of your customers? A truly effective sales process should be based around your customers. To explain this better, let’s consider what a sales process involves. 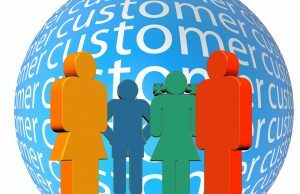 All businesses need to provide outstanding customer service these days in order to have a chance against the competition. Therefore, your sales process shouldn’t primarily be about trying to churn out as many sales as possible. This might sound counter-intuitive, but it’s not – by trying to maximise sales outright and rushing customers through the shop, or your business process, you ignore the fact that your customers are humans with needs, desires and the ability to choose, and they will choose to go elsewhere. By focusing on volume of sales outright at the expense of great customer service, you will likely see a drop in sales. Instead, by creating and optimising a customer-focused sales process that helps them to make decisions efficiently and effectively, you’ll maximise sales in any case as a corollary effect of your strong customer service focus. Here are some strategies to create a sales process that responds to your customers’ needs. The first step towards truly responding to your customers’ needs with the necessary information and service is to know what those needs are. That said, researching and learning about your customers should not be restricted solely to the sales department. With the rise of e-commerce and social media, customers have plenty of other channels from which they can get the information, and therefore the service, that they seek. This means your sales process needs to be widened and even redefined. First, you need to ensure internal collaboration between your sales team and the rest of your company, including marketing. Implement specialist skills development across the company to help your staff to get on board with your new customer focus, no matter what their department. Internal communications should also be promoted, perhaps with a brief weekly email bulletin from each department sent to all employees. As business owners, we tend to assume that customers will come to us when they need our services. In the contemporary information age, this isn’t enough! Your customers can search for information that they previously had to come in-store to ask about, and they can find out whether it’s worth their coming to your business by checking your online feedback. As a business owner, you should keep an eye on the information available that pertains to your business in particular and your industry in general. Your own information output should aim to communicate with customers at the very first stages of the sales process – not by pushing your product, but simply by acting as a source of useful information. Redefining your sales process to focus on the needs of your customers is one of the most effective ways to improve business. Unlike an advertising campaign, it’ll pay dividends for a very long time if done correctly.